I love staying at a Disney Resort hotel. I’ve stayed at nearly all of them in Walt Disney World and Disneyland Resorts. The first Disney hotel my family stayed at was Disney’s Grand Floridian Resort & Spa in summer 1992. There is something magical about staying at a Disney Resort (I love that blast of cool air when entering a hotel lobby). My favorite place is Disney’s Polynesian Resort as I like pretending I’m on a tropical island somewhere in the South Pacific (and they have a Dole Whip machine!). New merchandise featuring a few favorite Disney Resort hotels is arriving this summer. I recently gave you a sneak preview of these new items in an article about summer merchandise. 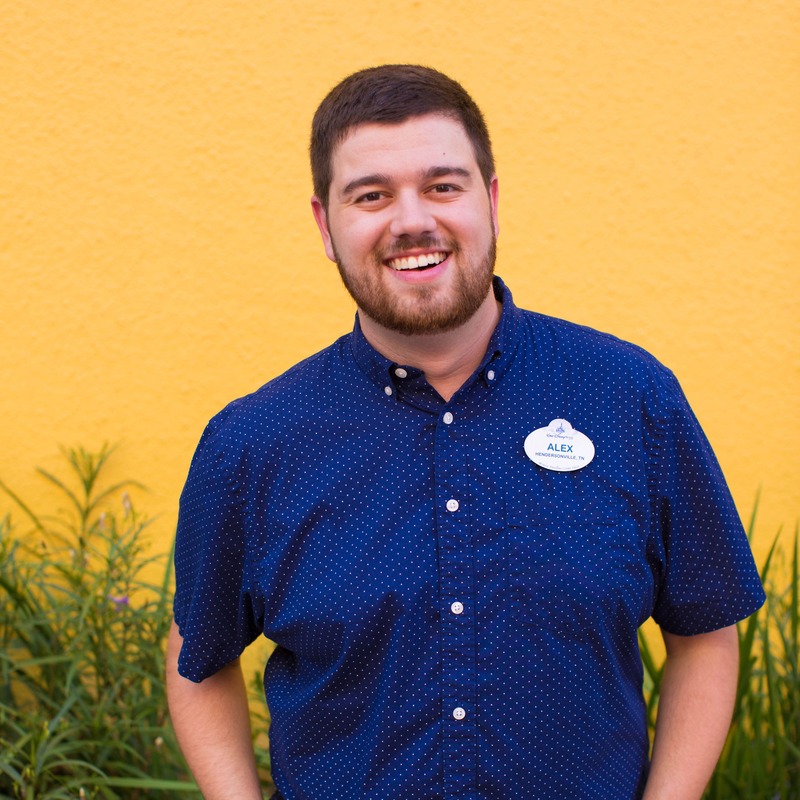 This time, I caught up with Disney Design Group artist Tim Whalen who created the artwork for this new resort logo program. Those iconic details include a lighthouse representing Disney’s Old Key West Resort, a turtle for Disney’s Vero Beach Resort, a beach chair for Disney’s Hilton Head Island Resort and racing horses for Disney’s Saratoga Springs Resort & Spa. Tim told me that he added a Hidden Mickey to each of the designs. The completed artwork was then applied to a variety of new items including apparel, drinkware, magnets, key chains and window decals. I asked Tim about his favorite design. Which is your favorite Disney Resort to stay at during a Disney vacation? Yay for more/new resort merchandise! The Beach Club is my fave! I once spent over $300 on a single transaction at the Marketplace! It is nice to see Disney going back to the Resort themed merchandise. Do you know if Pop Century will get a line of merchandise? I really hope so as that is my favorite of all the resorts. @Katie – I love Pop Century too (the 70s wing for me)! Unfortunately, I don’t know of any plans at this point for new logo merchandise there. Sorry. Oh my! I just love this. When will it be available for purchase? I would love to get Animal Kingdom Lodge shirts for my group! @Kristy – The apparel items have started arriving in locations. The hardlines goods (like the drinkware, etc) will be arriving later in June. 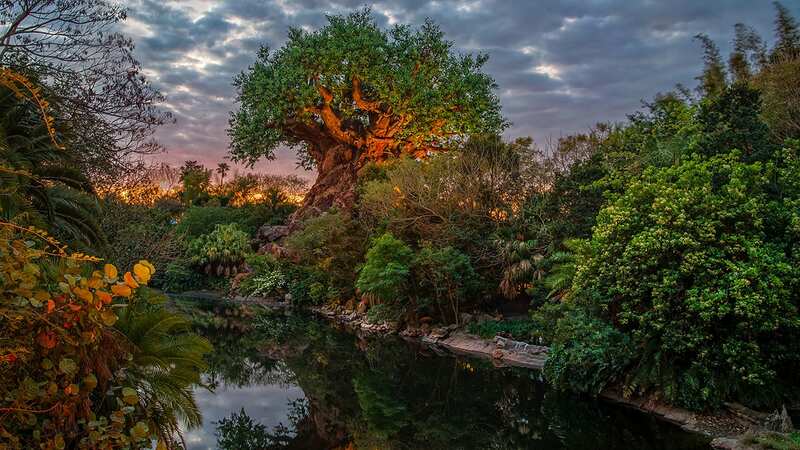 I don’t have confirmation yet if or when Disney’s Animal Kingdom Lodge will be introduced. Yet, talking about it now makes me hungry for bread from Sanaa in Kidani Village! Bay Lake Tower!!! Any chance of new Bay Lake Tower / Contemporary merchandise? @Courtney – Sadly I don’t know of any plans at this point for Disney’s Contemporary Resort or Bay Lake Tower. But it’s good to know you are interested. My most prized shirts are from Dixie Landings (from my Honeymoon) and The Polynesian (from our first family trip) I was disappointed to not find any resort merchandise on our vacation last August to All Star Movies. Will all resorts eventually be getting their own branded merchandise? @Judson – At this point, I don’t believe all Resorts will be included. These Resorts are some of the first to be featured (along with new Disney’s Polynesian Resort goods which aren’t shown in the article). There may be more Resorts, but I don’t have confirmation on timing. @Rob – Welcome home 🙂 Good catch. 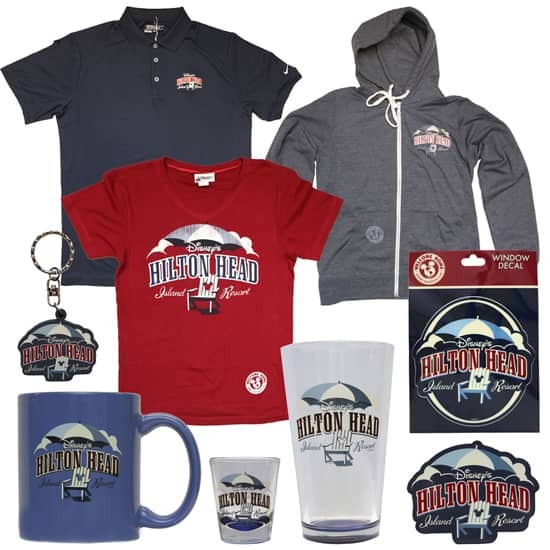 Some of the merchandise includes the “Welcome Home” phrase. Would love to see this spread to All Star, Pop, and all the other resorts with no merchandise. My All Star Beach towel is the only thing I have left from my first trip, and I’d love to get some apparel or cups! @Mandy – Aloha!! I agree that it’s wonderful to see a honu in the logo. They are very important to Disney’s Vero Beach Resort. I love this. My favourite resort is the Fort Wilderness Resort and Campground and I would buy some of these for sure! Love these! We’ve been buying resort merchandise since our first trip to Dixie Landings in 1994. It’s been getting harder to find. So glad you’re bringing it back! Speaking of merchandise. I just visited disney and was disappointed I could not find an orange bird shirt, hat, or bag. Will there be more orange bird merchandise coming soon Steven? Why were the t-shirts a short-term item? I don’t know of any plans to release the shirts or ear hats that were introduced in 2012. Periodically, our development and planning teams test and try new things. I’m happy to hear there is a continued interest in the Orange Bird (as I’m a fan too). This feedback helps and I promise to share it with the team. LOTS of questions: Do you have SKU’s for all the drinking glasses and the Old Key West polo? 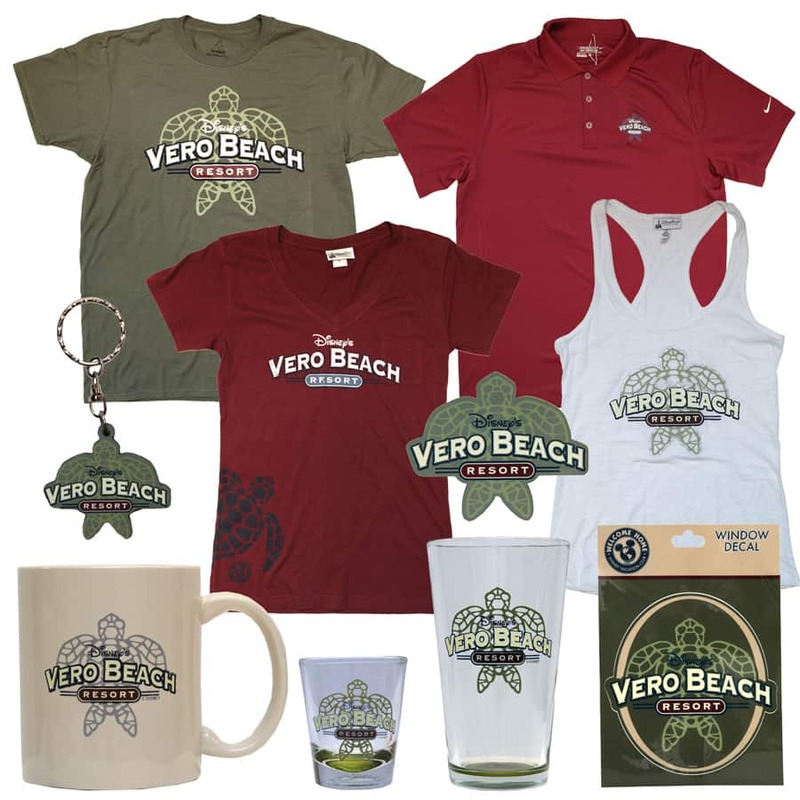 Will Merchandise Guest Services have access to the merchandise for both Vero Beach and Hilton Head? I know you had mentioned in your teaser post that some of this was going to be included online later in the year..are the glasses on that list? I love the resort specific merchandise, and I hope Disney Design Group continues to roll out more of it!!!!! Many thanks for your dedication to reply to all your posts! I know I appreciate it!! @Jonathan – I will have to research item numbers as I don’t have them readily available. I’ve also asked our Merchandise Guests Services team about Vero Beach and Hilton Head Island Resorts. Unfortunately, I don’t have confirmation at this point when Resort items may be carried online or which items may be offfered. Please know that it is something they are considering for later this year. Finally, the media developer is currently out of the office on business. I will follow up with her next week. We just returned from Disneyland, and realized we purchased the wrong size souvenir. How do we exchange it? To what address do we mail it? I love that these are being released, ESPECIALLY polo style shirts! I can’t wear T-shirts at work but I love to wear Disney polos and Hawaiian style shirts. On our most recent trip I saw VERY few aside from generic Mickey or DVC logos. I’d jump at getting a polo from each of the WDW DVC resorts we have contracts at: Wilderness Lodge, Bay Lake Tower (or Contemporary), and Animal Kingdom Lodge when I’m there in December if any are available by then. I have also enjoyed stays at Beach Club and Boardwalk, so if they were available in the future that would be a big plus. I bought a BW T-shirt and own Ts from a number of resorts, so new logo merchandise for them is certainly also welcome and may have to come home with me. Will there be merchandise for the Contemporary and will there be online ordering for all of this merchandise? When will it be available? Thanks and have a magical day (as its said in the happiest place on earth)! @Jake – At this point, I didn’t see development for Disney’s Contemporary Resort or Bay Lake Tower. The online store team is looking to carry these items in late summer on the Disney Parks online store. I’m glad to see resort merchandise coming back! I second Pop Century merchandise as well as merchandise for all resort locations as I’m sure that all resorts have many loyal followers! So glad to see resort-specific merchandise again!! This is awesome! 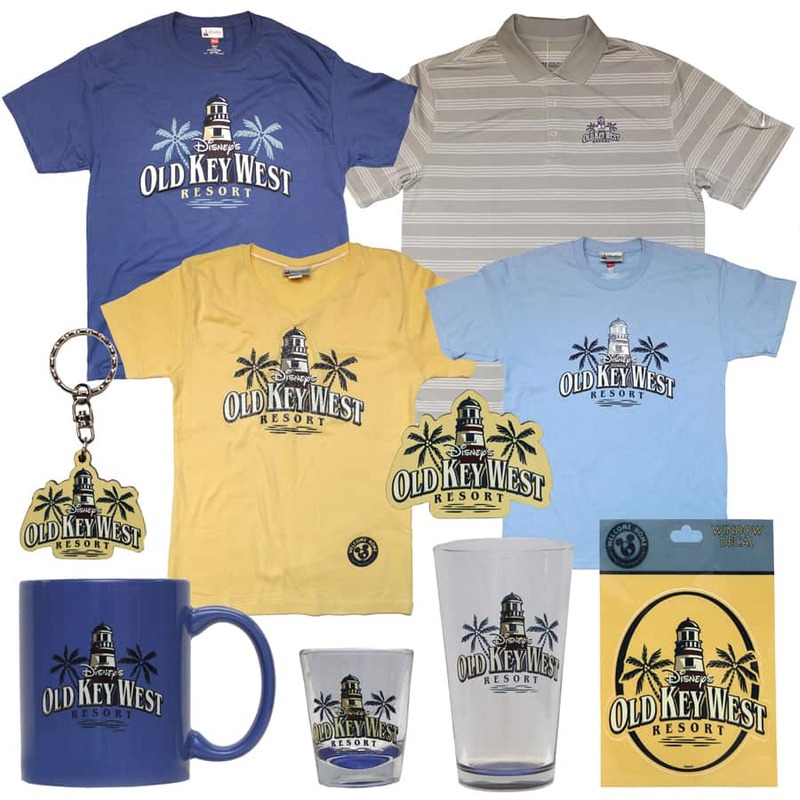 I’ll be buying on Old Key West shirt when I stay there in 2 weeks. Thank you Disney for listening to your guests! Bring back the resort themed Christmas Ornaments! My wife and I used to buy a new one each time we stayed at a different resort. Then all of a sudden they disappeared. Steven, thanks for the response! Definitely very interested in Contemporary and/or Bay Lake Tower merchandise. The first WDW hotel and the newest DVC resort deserve some merchandise!! I remember back when resort specific merchandise was a common find in the hotel gift shops, and hope to see that return eventually! I do love the wonderful variety of merchandise available for the resorts pictured, so I can’t wait to see what resorts will hopefully receive this type of merchandise in the future! Glad to see that resort polo shirts are making a comeback…a souvenir I can wear to work! So glad to see resort specific merchandise return to the shops. We love staying at POFQ & I hope they eventually have merchandise available for purchase. Hello! I love these! Especially OKW. It holds a special place in my heart because it was the first Disney resort I ever stayed in (just this past February) and probably the one I will buy in to as my home resort when I become a DVC member. My question is: Are these/will these be available to purchase online, or anywhere off-property? Thanks!! I live in CA but would love an Old Key West shirt! My hubby and I went there on our honeymoon and i have fond memories of being there with my granparents. Any way those are going to be for sale through the disney store website? I would absolutely buy them if they were! @Michelle – Look for items to be carried on the Disney Parks online store in late summer. Thank you Steven! I did see the vinyl. Too bad it is blind boxed b/c the only one I like in this series is the Organge Bird!!! I LOVE the Wilderness Lodge! I’ve never stayed there but I’ve visited several times while resort hopping. 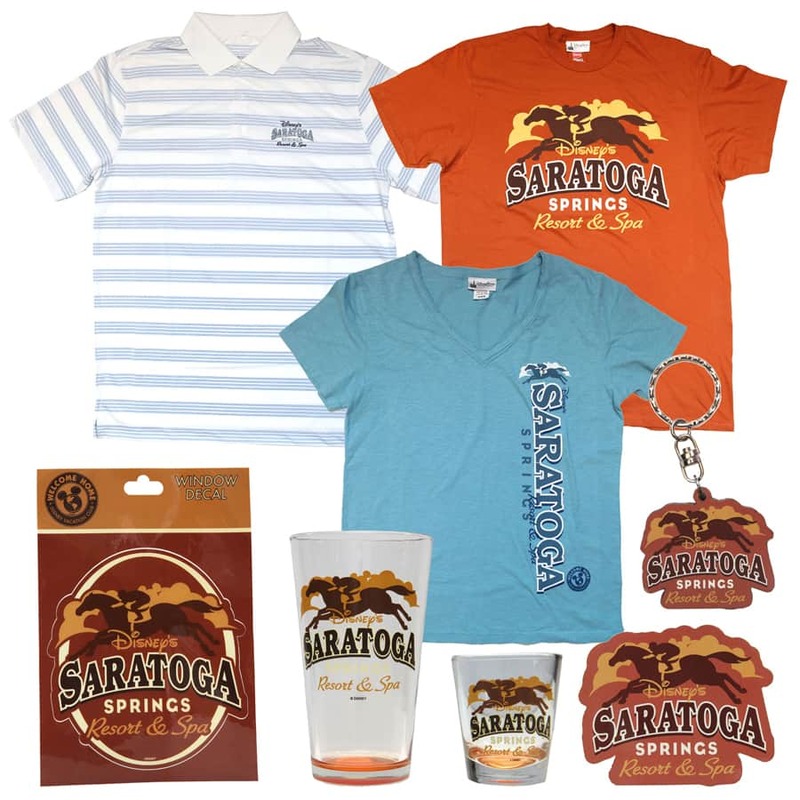 I would love to purchase resort merchandise online….IF ONLY!!! THANK YOU, THANK YOU, THANK YOU for creating more resort specific merchandise. The pickins were getting slim there for a while! Please add ALL the resorts to your “TO DO” list. Still no love for BLT?? 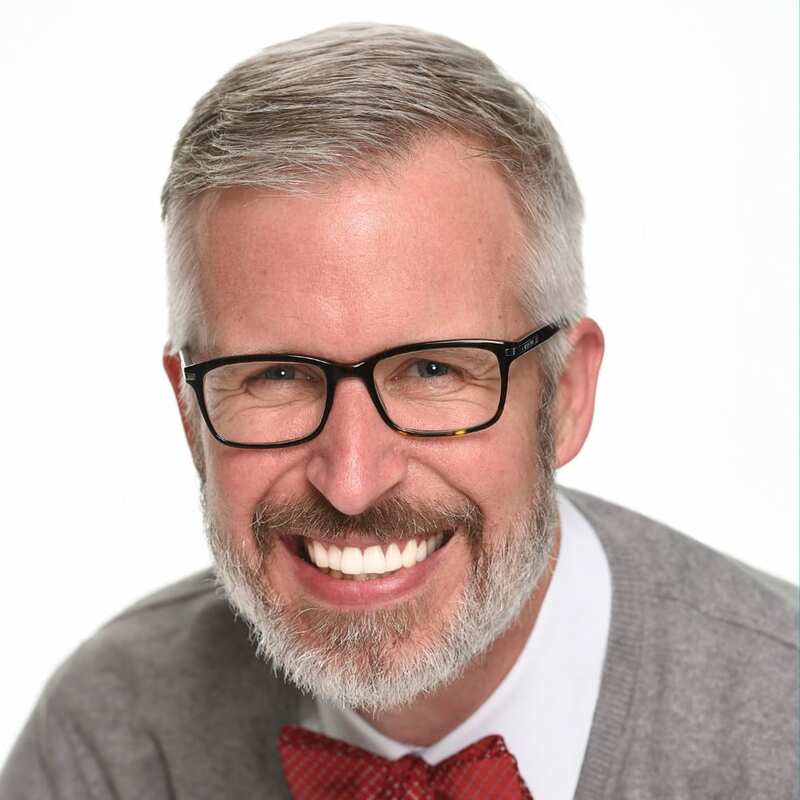 @Paul – Gosh, I would love a BLT on wheat with a cup of coffee and vanilla milkshake for dessert. Wait, you mean Bay Lake Tower. 🙂 At this point, I’ve not seen any development for that location. I will, however, share your feedback with the development team. I am a DVC member at Vero Beach and Saratoga but have been lucky enough to stay at all the continental DVC resorts. My favorite: the Treehouses at Saratoga Springs. Peaceful and beautiful. QQ: LOVE the new designs, but other than scheduling trips everywhere, is there a central number or website to contact for shirts? If it was previously mentioned, I apologize for not seeing it. I love perks for DVC members. Wearing “our” resort is not only fun for us but great advertising for DVC. We collect Tervis Tumblers and have one from OKW and SSR but would love to see all the Disney resorts have one so we could collect them all! Especially want one from AKR since we own there, too. We would also love to see more resort themed home wares, especially beddings. Something that doesn’t slap you in the face with giant Mickeys, but has hidden Mickeys for us to enjoy. @Susan – Thank you for the comment. Unfortunately, I don’t know of any plans for bedding. I also don’t believe the home/decor team is going forward with more Tervis Tumblers. There will be Tervis Tumblers found in select World Showcase pavilions at Epcot. We just got back from Vero Beach AND Saratoga Springs. We have a new Vero Beach window decal but we’re not sure how it goes on, can you provide instructions? @Scott – How lucky! Sounds like a great trip. From my understanding, you would just need to peel and stick the decal to the outside of a window. I would make sure the window is cleaned first. I’ve also found that using the edge of a plastic card can help make everything flush.